In the aisles, private labels are clearly highlighted with shelf-talkers - Najtańszy meaning ’the cheapest’. Our colleagues from Polish retail news portal Handel Extra recently visited the first Auchan minimarket in Warsaw, dubbed Moje Auchan (My Auchan). The 200 sq m pilot store which opened last month features some 7,000 SKUs and is open 7 days a week, typically from 7am-11pm. To assert its fresh-produce stance, the store features an instore baking machine and a chicken roaster. Exotic, organic and healthy food, as well as regional beers, are particularly prominent categories in the assortment. In addition to a service counter, the minimarket features a wide selection of pre-packed meat, fish and dairy items. The store features a service counter selling sausages and cheeses. The store offers a number of convenience services, ranging from photocopying, to photo-printers, phone chargers and a snacking area. The snacking area provides customers with a microwave, coffee and drinks dispenser. To us, this Polish pilot is in line with other concepts trialled by the retailer across Europe: urban stores sized between 200-600 sq m, focused on foodservice, ambient food and a particularly strong fresh-food focus. 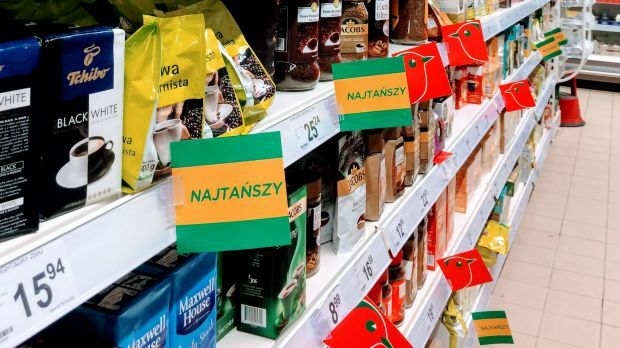 In many markets such as Poland, the retailer is taking its first steps with minimarkets and is obviously adjusting its formula to local preferences. We can observe for instance, that the first Romanian iterations are more akin to forecourt stores, often anchored within OMV Petrom service stations, while the Russian ones we’ve seen so far have been compact (200-300 sq m) and located in residential areas. This Warsaw iteration mirrors several features that LZ Retailytics has already observed in France and Russia. These include the front serving check-out line for the assisted sales of alcohol, tobacco and other sensitive items; the instore baking oven; the roasting machine; as well as the service corner. 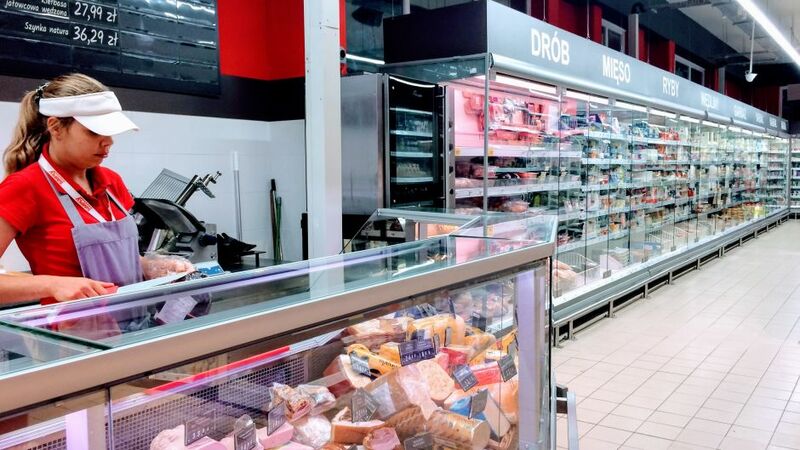 However, we feel this Polish concept diverges from its counterparts in other markets through the prominent highlighting of its private labels to enhance the value proposition, while dedicating sales area to the traditional – and popular – sausage and cheese service counter. 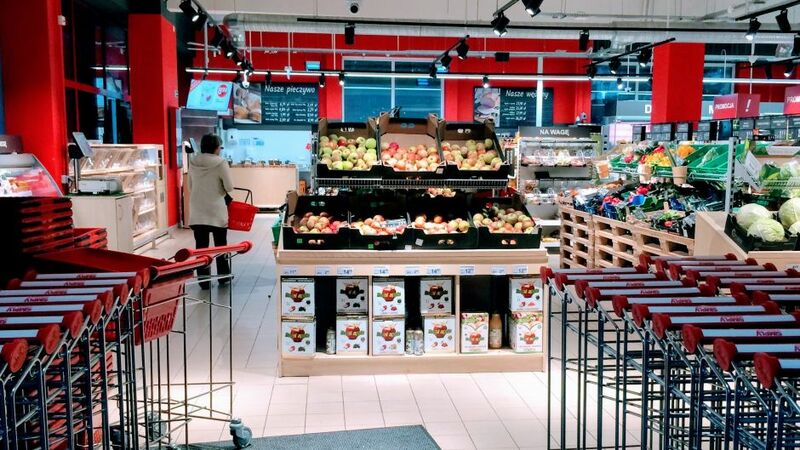 Auchan is not the first retailer attempting to introduce such a counter in its minimarkets given the strong differentiation factor of such an offer in Poland. It also gets away from the bulky equipment and strict health regulations applied to butchers. 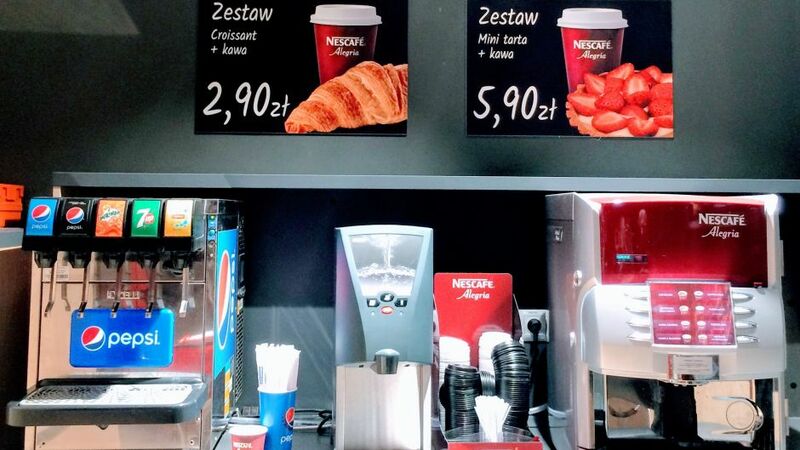 Eurocash's Delikatesy Centrum and Żabka's Freshmarket both tested such counters at their petrol stations and minimarkets respectively, with varied degrees of success. Żabka reportedly converted a few Freshmarkets back to regular Żabka stores. Overall, the move fits with Auchan's wider strategy, centred on its single-brand, multi-format strategy across Europe. This means the retailer is currently rebranding its supermarkets and minimarkets to the Auchan Supermarket and My Auchan banners. In France, the conversion of the 260 stores is expected to be completed by Q1 2018; while Spain, Poland and Russia have similar plans underway. Meanwhile, Auchan is adding minimarkets to its store portfolio in other countries such as Romania and Portugal, where fifteen and six My Auchan minimarkets were announced respectively for this year. Similar minimarkets are also rumoured to be planned in Ukraine for the future. With contributions from Senior Retail Analyst Sebastian Rennack.